Europe’s Atlantic façade has long been treated as marginal to the formation of the European Bronze Age and the puzzle of the origin and early spread of the Indo-European languages. 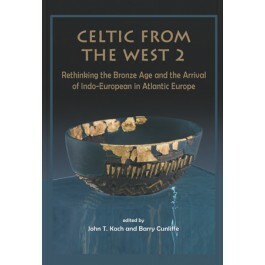 Until recently the idea that Atlantic Europe was a wholly pre-Indo-European world throughout the Bronze Age remained plausible. Rapidly expanding evidence for the later prehistory and the pre-Roman languages of the West increasingly exclude that possibility. It is therefore time to refocus on a narrowing list of ‘suspects’ as possible archaeological proxies for the arrival of this great language family and emergence of its Celtic branch. This reconsideration inevitably throws penetrating new light on the formation of later prehistoric Atlantic Europe and the implications of new evidence for inter-regional connections.